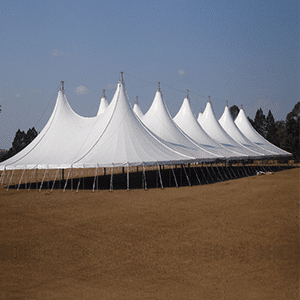 Stretch Tents Durban manufactures high-quality alpine marquee tents at incredibly low cost prices. 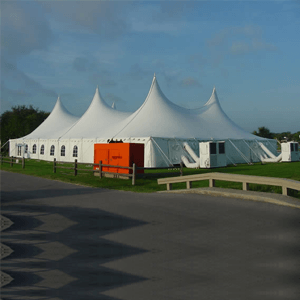 Get a customised alpine marquee built to specifications of your event requirements. 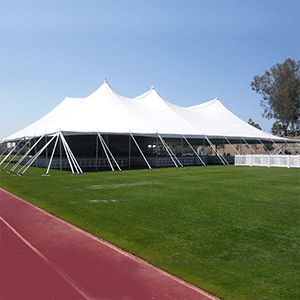 Our alpine tent is a true fabric tensile structure with a double row of peaks. 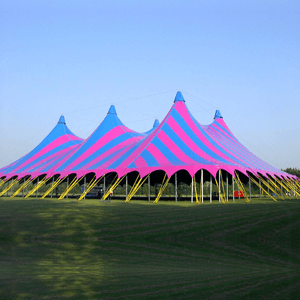 With the introduction of computer aided design, this range of tensile structures boasts many unique advantages over conventional wide-width marquees, not only being far more aesthetically appealing and stable, but practically more effective. 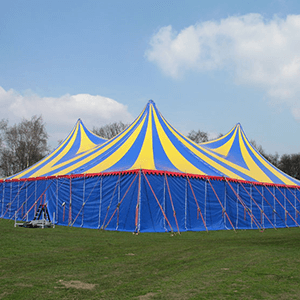 Due to the marquee design, there is constant two directional tensions throughout the roof section, making it a very stable structure and reducing flapping and noise to a minimum – unlike that of a standard pole-type marquee. The peaks are designed for optimal stability and aerodynamics in most weather conditions. 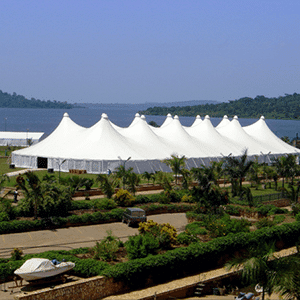 The peaks also offer a natural convection air-conditioning system with vents at the top of each main-pole – the hot air rises up and out through the vents making for a cooler venue. 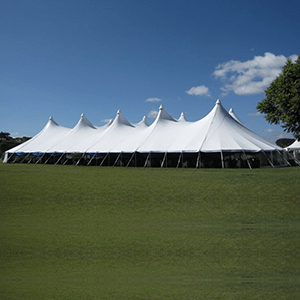 With the design able to span larger widths, and easy erection, the application to the hire industry is tremendously versatile, from upmarket events e.g. 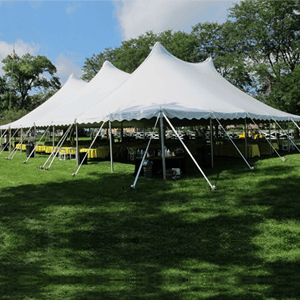 weddings and corporate events and conventions, to beer fests and concert venues or semi-permanent structures such as circuses, churches, event centres, arenas etc.